Comment: Kurt Samuel Vile recently issued his solo fifth album called Wakin on a Pretty Daze on Matador. 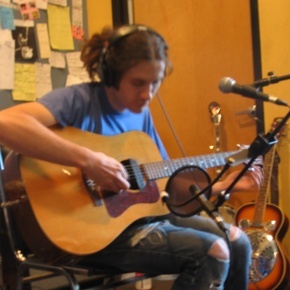 However, the particular live session was played and recorded while Vile only started off his solo project (before it he had been a member of War On Drugs). However, on this set of 5 tracks Vile takes on dreamy songwriting backed up by an guitar, and banjo now and then. Indeed, he proves vividly why he is considered one of the most charming songwriters today.In true, the session lacks of those whimsical keyboards-driven lining juxtaposed with guitars and his sprawling singing.